Im trying to send vvvv to smode through spout, but no luck. Did anybody try that before? Im getting a message in smode saying "unsupported texture format" and I can see the GPU mem meter climbing up like crazy! I get spout in to smode from TD with no problems... and I get spout between to instances of vvvv with no problem. I don't know VVVV but for the "unsupported texture format" error try to configure your VVVV spout output to have RGB / RGBA 8bit. Smode don't support 10bit formats. I made some more tests- sending vvvv to isadora (yes yes it still exists, I was surprised as well) and from isadora to smode, and this all works.... but I loose a ton of FPS. @lamogui vvvv is sending out R8G8B8A8_UNorm which I think is 8bit no? I dont think I can, I got a whole list of formats and B8G8R8A8_UNorm is like the only (ok ok maybe more) that wont work. im looking in to it, but in the meantime are there any other formats I could try? in vvvv im actually using DX11 but maybe the spout sender is changing it? this is from the vvvv forum about spout implementation. "If it is defined, it should be whatever format the sender is using. The defaults are D3DFMT_A8R8G8B8 (21) for DirectX 9 and DXGI_FORMAT_B8G8R8A8_UNORM (87) for DirectX 11. Then the receiver can read and use this information. 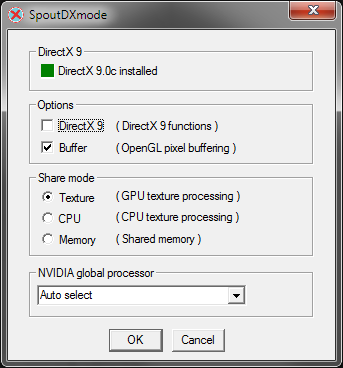 At at the moment there is nothing specific done other than display the format by SpoutPanel.exe when selecting a sender by a receiver, but it might be used in future for DirectX to DirectX texture processing, or for other DirectX applications which require the texture format. There are a limited number of formats that can be used for sharing textures, particularly between DirectX 11 and DirectX 9. These include DXGI_FORMAT_R16G16B16A16_FLOAT, DXGI_FORMAT_R16G16B16A16_SNORM and DXGI_FORMAT_R10G10B10A2_UNORM. There has been some interest in floating point textures, so this could become important when that is pursued further. Meanwhile the format can be set to zero and it will still work OK, the receiver will then assume the default formats and it is not necessary for the receiver to know whether the source is DirectX 9 or DirectX 11. The only thing necessary is the handle (or pointer) to the texture and it will be shared OK for both DirectX 9 and DirectX 11 for the compatible formats. For field widths, the description is 256 bytes and all others are 4 bytes - 256 + 24 = 280 bytes. The sender name defines the name of the memory map itself. " I'm not in charge of this developpement, I looked into the code and it seems like the only supported format is DXGI_FORMAT_B8G8R8A8_UNORM. Have you tried to use https://vvvv.org/contribution/spout-dx11 ? 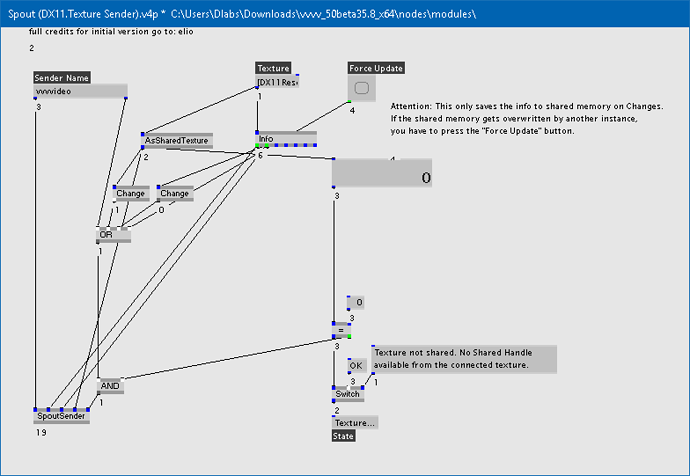 Another thing, if you have multiple GPU on your computer ensure that VVVV and Smode run on the same GPU. 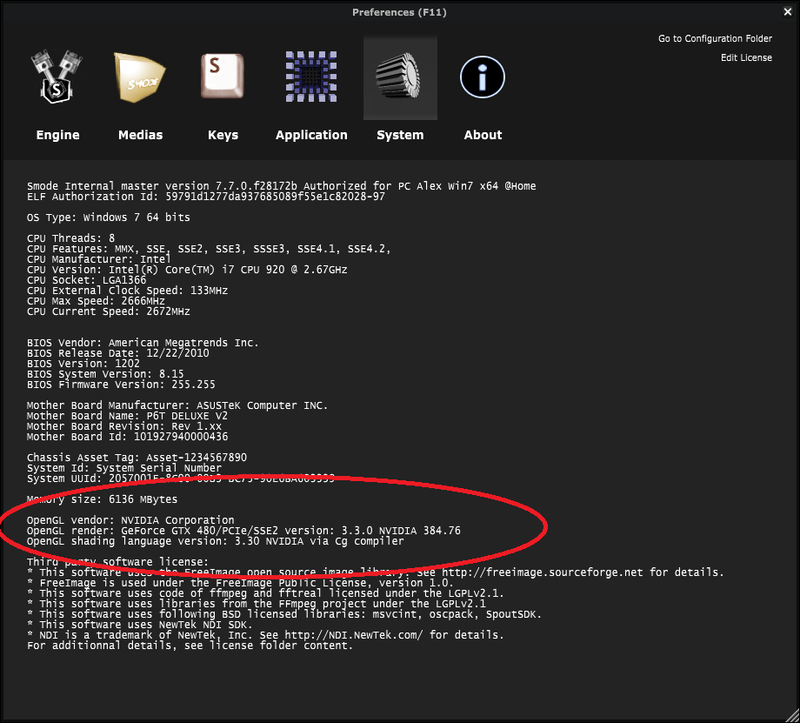 And if you have an NVidia Optimus or AMD Enduro laptop, ensure VVVV doesn't use Intel integrated GPU. Hey @alexandre.buge, thanks for joining us! but still Im getting these errors. @alexandre.buge still Unsupported texture format. Just if you can ensure that you are using the last driver for your GPU. I just add extra logs to understood what is going on. I do not know if this ring a bell for you. It can be related to a Spout Sdk version incompatibility... I Know that Smode is not totaly up to date. This can explain why everything is ok with others software. But I'm still unable to understood how to setup Spout in VVVV to reproduce the issue on labs. So I'm not sure to find a quick way to resolve this for the next release. to the vvvv sender I am sending R8G8B8A8_UNorm texture, so I dont know why would we have a 32 bit float format. does this make sense? What problems do you have in vvvv? can I help you? 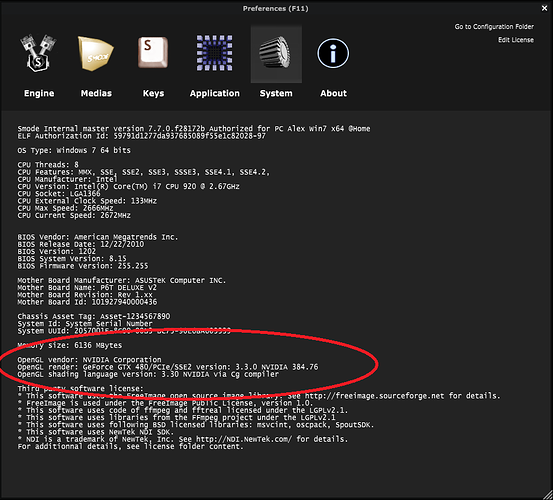 you need to install the dx11 pack and the dx11 spout in your packs folder. I did not have a lot of time to learn VVVV. are you using the help patch? from the screensnippet it looks like you are not sending out any texture. did you run setup.exe before opening vvvv? help patch do the jobs, thanks for this !